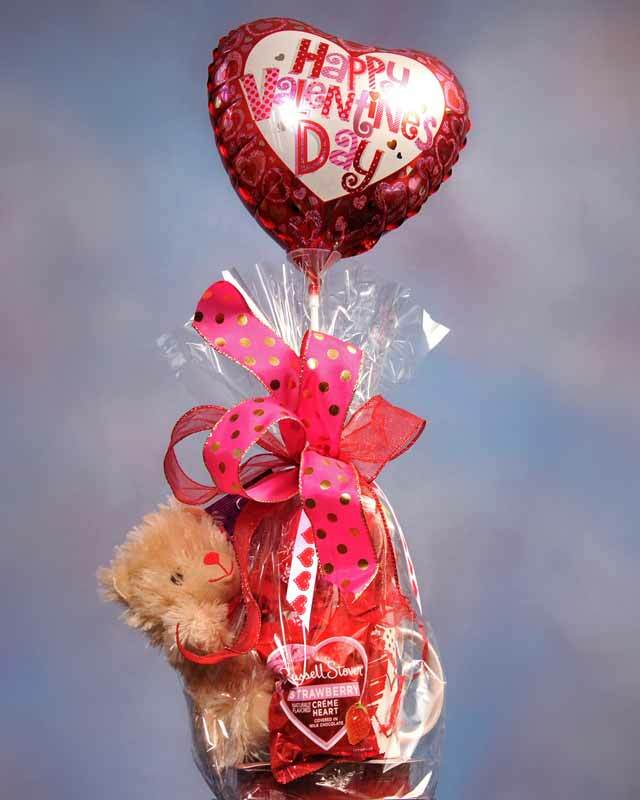 Container filled with an assortment of flavored popcorn, cookies, candy bars, Valentine conversation hearts, red licorice, snack mix and a sparkling beverage. Image for reference only. The actual gift basket will be customized and may vary. Ceramic Valentine coffee mug filled with an assortment of hot cocoa mix, cookies, biscotti, chocolates, Valentine conversation hearts, nuts and a Valentine balloon. Image for reference only. 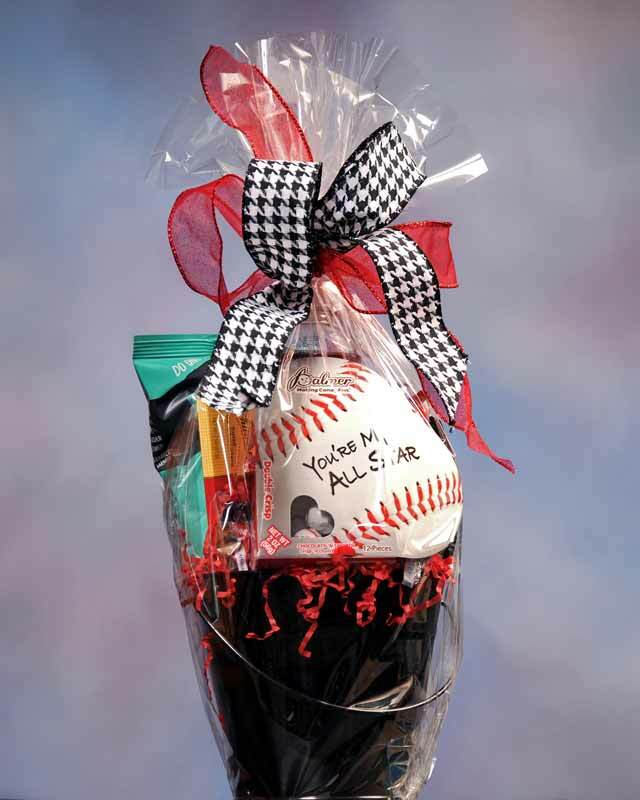 The actual gift basket will be customized and may vary.